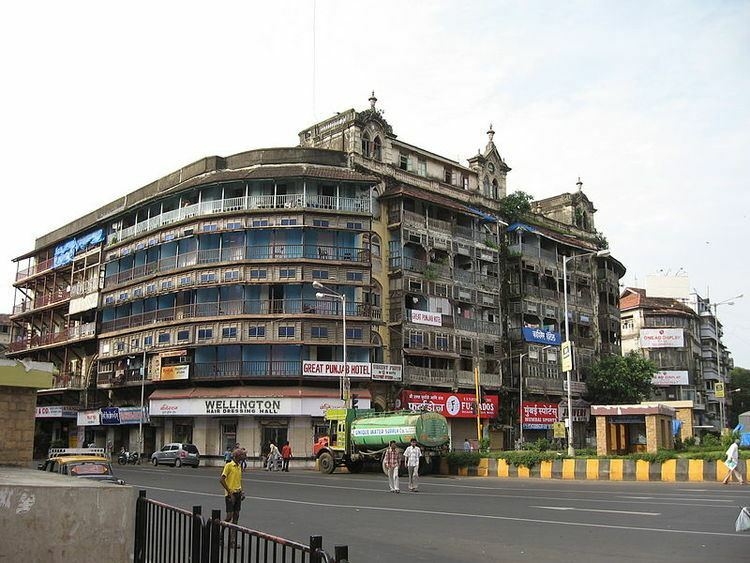 Girgaon, also spelt formerly Girgaum, is an area in southern Mumbai in Maharashtra, India. The culture in Girgaon is diverse and varied. Like most areas of cosmopolitan Mumbai, residents span diverse languages, religions, traditions, festivals, and attire. Girgaon occupies prime residential real estate due to increasing demand just because of its prominent location in South Mumbai. The Sanskrit term "Giri" stands for hills, whereas the Sanskrit word "gram" denotes a village. Thus, Girgaon means a village at the foothill of mountains. A birds' eye view from the top of Malabar Hill will justify this etymological finding. Khetwadi, originally an area with a sparse population living off agriculture and plantations, developed in the mid-19th century with the widening of Parel road and the Girgaon road (then called the Breach Candy Road). 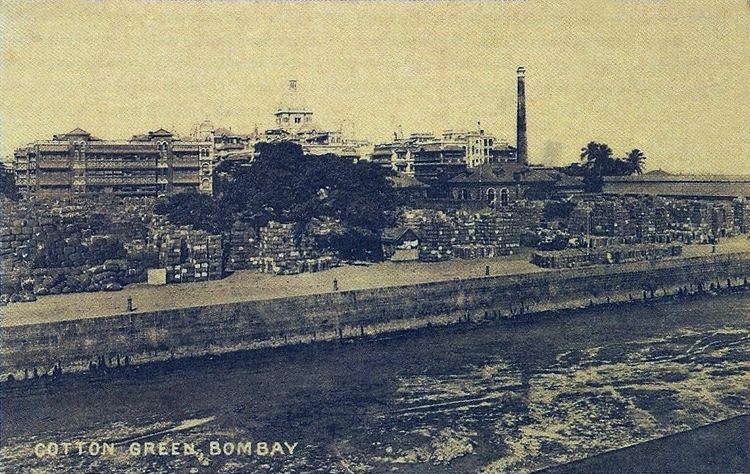 In 1839, Grant Road was completed, leading to migration of a large number of people into this area. Girgaon got its own station much later at Charni Road which was opened in the year 1867. Today it has become a hub for diamond traders and wholesalers of almost all the traditional businesses. There are a large number of temples in this area. The most well-known is Thakurdwar, built by the ascetic Atmaram Baba, who died in 1838. The Kalbadevi temple, dedicated to Kali, was moved to its present site from its original location in Mahim during the rule of the Gujrati sultans. The Dadi Seth Agiary was built in 1783, the Hormusji Wadia Fire temple in 1839. Each area of Girgaon follows its own customs. Communities like the Marathi-speakers, Gujarati, Konkani, Jains, Marwaris, Christians, and Hindus follow their own customs and rituals. They celebrate different festivals, follow different customs for birth, marriage, death, and other important events. Therefore, while it is easy to sense that Girgaon is different from other societies, it is very difficult to define conclusively what is essentially Girgaon or to see how such a diversity of peoples and cultures can be related to one another. This is also the area in which Ganesh Chaturthi is celebrated in great style. 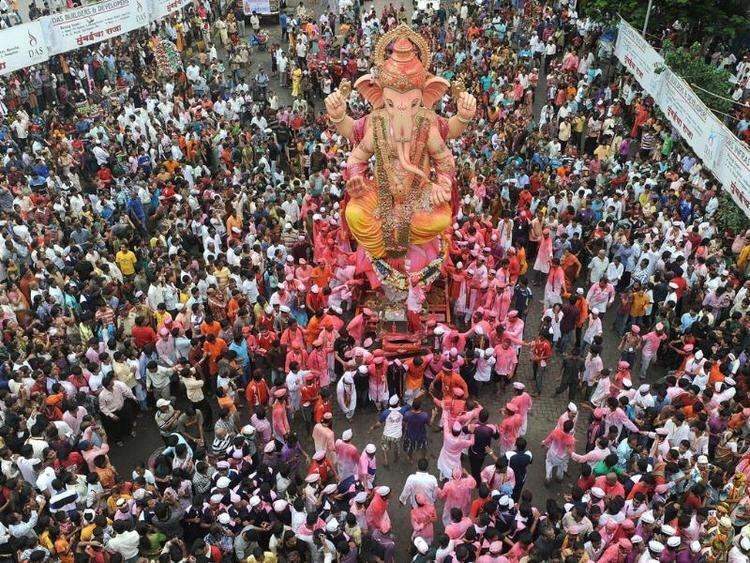 The area is filled with crowds when the Ganesh Visarjan is carried out. It is not only about Ganesh Chaturthi. Girgaon also celebrates other festivals with equal zest whether Diwali, Gokulashtami or Makar Sankranti. Girgaon is further subdivided in small neighborhoods locally called as 'wadis'. There are many such wadis in Girgaon namely - Vaidyawadi (Annapurna wadi) Bhatwadi, Jitekar wadi, Gaiwadi, Kandewadi, Bhutachi wadi, Urankar wadi, Fanas waadi, Pimpal wadi etc. One of these- Khotachi wadi is very famous for its Portuguese style wooden architecture. 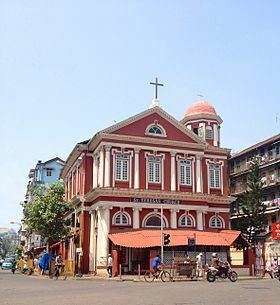 It is mainly inhabited by Catholics and Maharashtrian Hindus. These houses are now largely being pulled down to make way for sky scrapers and now number less than half of what it was originally. Nevertheless, foreign tourists still throng these narrow lanes of Khotachi wadi as it is one of the very few heritage villages remaining within south Mumbai. Heritage walks are often conducted here by locals and history lovers. Largely, Girgaon also includes the outer areas around it, like Sikka Nagar, some parts of Khetwadi, Prarthana Samaj, Opera House, C.P. tank, areas around Charni Road station and Girgaon chowpatty. Ganeshotsav is one of the most livingly celebrated Festival in Girgaon. Ganesh Idols like Girgaoncha Maharaja, Girgaocha Raja, are well known for being Ganeshotsav Mandals (Lord Ganesh festival local Group).Despite of various mandals here in girgaum, there's a historic place of Keshavji Nayak Chawl where Lokmanya Tilak visited Ganesh mandal in 1901 it will complete its 115 years of celebration, also there is Jitekarwadi Famous for there idols made using unusual materials like soil and fiber, that includes idols made of Dry fruits, marbles, rice grain, etc.